Book author Lyndsay Wise explains why some companies might be better off sticking with traditional BI software instead of adopting open source tools. 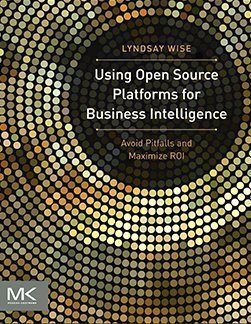 In this excerpt from the book Using Open Source Platforms for Business Intelligence: Avoid Pitfalls and Maximize ROI, author Lyndsay Wise, president and founder of Toronto-based consulting company WiseAnalytics, examines traditional BI software. Is it a better choice than open source BI tools? For some organizations, says Wise, it is -- depending on their needs, skills and views about using open source technology. For example, companies that are already using commercial software have to weigh the costs and other factors related to either expanding their existing deployments or adding open source tools to their BI environments. This segment, the third of three from Chapter 8 of Wise's book, concludes with a summary of key takeaways for deciding between open source business intelligence offerings and traditional BI products in order to ensure that the decision makers select the best BI software for their companies. Even though this is a book about OS, the reality is that there are many companies that should not select OS because it isn't the right fit. Even though many companies have similar infrastructures, work in the same industries, and have similar customers, their corporate culture, goals, and general needs may still be different. This means that some businesses may prosper using OS, while others might want to continue their use of proprietary software solutions. Within some of these environments, solutions that proliferate the organization also offer BI suites to accompany operational systems. The reasons why organizations look at OS are quite persuasive. Flexibility of development, quick deployment, and good experiences in the past are all reasons to expand OSBI adoption within the company. However, these reasons will not apply in all situations, and it should be noted that sometimes it may be better to select traditional offerings instead. So, let's look at some of the reasons why you might choose to forgo OS in favor of traditional BI. In some cases, the expansion to BI might be as easy as adding a module available from your transactional software provider (i.e., the SAPs of the world) that also provides BI solutions. In other cases, BI might already exist within the organization and you have to decide whether to expand its use or select a new solution. Depending on outstanding licenses, costs of expansion, time to delivery, and many other considerations, it might make sense to expand general use. Within larger enterprises, it can be quite common for disparate departments to select their own BI software based on individualized use cases as opposed to adopting a BI platform to service the whole organization. SMBs sometimes approach BI use differently by standardizing on a single platform. In either case, there may be internal considerations that make it more appealing to expand use or work with a proprietary software vendor that has strong integration capabilities in relation to the transactional systems currently in-house. Not all IT developers have OS experience or have worked within Java environments. From a business perspective this means that it is imperative to make sure that the right skillsets exist in-house or that there are external resources that can be leveraged for development and support. If no Java expertise exists, then businesses looking at OS need to identify whether they will hire new resources, use vendor professional services and long-term support, require their current developers to learn new skillsets, and what the implications of each of these actions are. A few years ago I worked with an organization looking at developing a data warehouse for the first time. They went through an in-depth analysis, only to select Microsoft SQL Server in the end because the IT director was already well versed with Microsoft. Whether or not that was the right choice remains irrelevant. What is relevant is the fact that their choices were based solely on their current expertise and their lack of desire to think outside of the box. The fact is that many organizations are like this. Hence, if you don't have OS developers on hand, it makes sense that you might choose to select a set of software based on the level of comfort that currently exists. Although OS is becoming more widely adopted, there will always be organizations that are not comfortable with the concept of its use. In addition, some organizations create their shortlists by selecting leaders in the industry, which tend to be proprietary offerings because of the breadth and depth of reach within the marketplace. Even though OS offerings are usually downloaded by tens of thousands of companies, most of those companies remain community users, making it impossible to know the true reach of use. Organizations that are risk averse might prefer to start out using solutions they are familiar with or that are based on traditional development methods. In many cases, an organization is either a proponent of OS and is drawn to its use, or not. With the advent of commercial OS offerings, self-service models, and the like, more business decision makers are weighing in on the type of offering to deploy. I think that over time, more companies will become comfortable with the idea of OS, but will also understand that its value is not intuitive and depends on the outlook and goals of those looking to deploy it. Aside from the SMBs that I work with who are green field accounts and new to BI, many organizations already have some form of BI within the organization that extends beyond spreadsheet use. If a company is already satisfied with what they have in-house and want to expand use or types of analytics provided, or extend their solutions to reach more people, then it makes sense to not reinvent the wheel. Each of these considerations could be looked at more in-depth. However, my goal is to make you think and identify the reasoning behind your choices to make sure that the BI adopted within your organization meets the needs of the broadest number of people possible. It is never easy to balance technical and business requirements, or to develop a solution that has broad analytics requirements with the goal of quick delivery times and low cost of entry. And although I see much value in OSBI adoption, I am also realistic and understand that OS will not be a fit for all organizations or address the needs of every BI-related business problem. Why you are adopting BI. What you hope to achieve -- both on a departmental level as well as organization-wide. What exists in-house in relation to software, hardware, skillsets, and comfort factors. Whether OS is right for the organization by looking at the potential benefits outside of initial software costs. The long-term benefits of BI adoption and how the type of solution selected now will affect use in the future. Although you may still not be convinced that OS is the way to go, the next chapter looks at the implications for users, expanding on what OSBI adoption means on a practical level. Check out the first part of this excerpt. How open is your organization to using open source technology?